The ever popular Celebrity MasterChef returns to prime time BBC One this summer with a fresh batch of well-known faces from the fields of sport, music and show business battling to take the title of Celebrity MasterChef 2013. 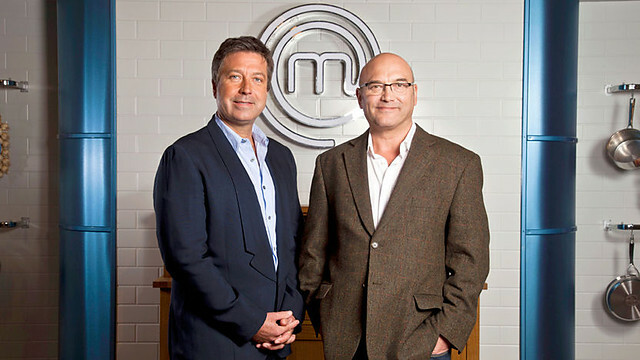 John Torode and Gregg Wallace once again put the celebrities’ palates to the test when they must make it through six formidable challenges over two days, to prove their culinary worth and secure a place in the Friday night quarter finals. The following 16 celebrities will be concocting a wide-range of hopefully delicious but sometimes terrifying culinary creations: entertainer Les Dennis; actors John Thomson, Denise Black, Brian Capron and actor and musician Ade Edmondson; comedians Katy Brand and Shappi Khorsandi; TV presenter Miranda Krestovnikoff; from the world of sport, triple jumper Phillips Idowu, cricketer Matthew Hoggard and boxer Joe Calzaghe; organic entrepreneur Jo Wood; from the world of music, singer Heidi Range, Mercury award winning rapper Speech Debelle and Boyzone’s Shane Lynch; and writer and broadcaster, Janet Street-Porter. Executive producer for the BBC, Carla-Maria Lawson, says: "The return of Celebrity MasterChef to this BBC One peak time slot sees thrills and spills and some extraordinary cooking from our line-up of well known faces. In this series, the contestants enthusiasm in their pursuit of the MasterChef trophy is palpable, often inspiring and sometimes very very funny." The 18 programmes will run across six weeks, with the first four weeks concentrating on the heats. Four celebrities will once again compete each heat week, with the best making it through to each week’s Friday night quarter final.